Galileo combines extreme functionality with an attractive appearance and enhances any setting. 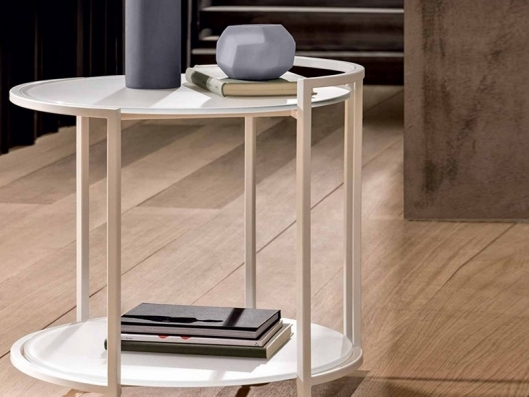 The coffee-table has a metal structure which intersects with two round tops and has four swivel castors. This makes it easy to move and perfect alongside a sofa or armchair. Options: The metal table is available in various combinable finishes.